Regulation of public infrastructure has been a topic of interest for more than a century. Yet, little is known about what works and why, when it comes to infrastructure regulation. 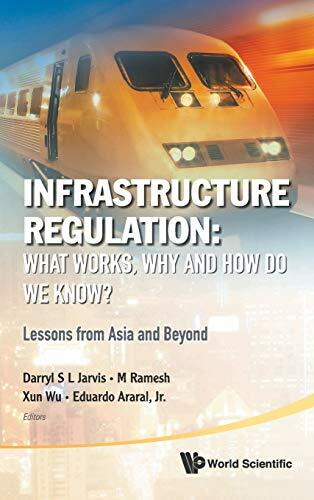 This book intends to contribute to the understanding of infrastructure regulations by analyzing empirical cases in telecommunications, electricity and water, with examples drawn from a number of countries in Asia and beyond.The book addresses the following questions: Does regulation work? What kind of regulation works? What kinds don't work? Why do some forms of regulation work and not others? How do we know whether they work or not? How do we isolate the effects of different political, economic and legal contexts? Are there systematic differences across infrastructure sectors that necessitate particular regulatory design? It brings together distinguished scholars and practitioners who are experts in the area to address essential issues in regulation through conceptual and empirical studies.